Vale d’Oliveiras Quinta Resort & Spa is an elegant 5 star hotel conveniently located between Carvoeiro and Ferragudo, in the Algarve. This hidden paradise is just a few minutes drive from some of the finest beaches and golf courses in Europe. 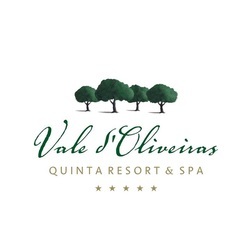 The Vale d’Oliveiras Quinta Resort & Spa is located between Carvoeiro and Ferragudo, in the Algarve. This hidden paradise is just a few minutes drive from some of the finest beaches and golf courses in Europe. It is an all year round destination, ideal for family holidays, golf breaks and group travel. The Monchique hills and Gramacho golf courses are the backdrop to this magnificent landscape. In addition, the resort has an abundance of stunning gardens carefully framed by the surrounding landscape. The traditional local architecture with Moorish influences provides a calm and tranquil environment. The bright and airy rooms and suites at the 5-star Vale D’oliveiras Quinta Resort And Spa feature a balcony or terrace overlooking the resort’s grounds. The suites are self catering and have a fully equipped kitchen with a washing machine. The resort comprises 22 rooms, 2 suites and 80 townhouses as well as a large choice of leisure and well being facilities, a Mediterranean restaurant and two bars. The Olive Tree Restaurant serves Portuguese and Mediterranean dishes on the terrace, which overlooks the swimming pool. The hotel also offers the Jasmine Bar, which serves light meals and healthy options prepared with fresh ingredients. Guests can enjoy a range of relaxation therapies at the spa, including full-body massages and hot-stone massages. There is also a Turkish bath and indoor pool. For younger guests, the Quinta Resort offers a children’s playground with fun activities. The Vale d’Oliveiras Resort is an ideal location for golfers with two of the top Pestana golf courses, Pinta and Gramacho less than 2km away.